What is the Sacramento Area Sewer District? The Sacramento Area Sewer District (SASD) is a sewer utility that owns and operates thousands of miles of lower lateral and main line pipes (i.e., those sewer pipes under the streets) and is responsible for the day-to-day operations and maintenance of those pipes and related infrastructure (e.g., pump stations). Once your wastewater is collected in our system, it flows into the Sacramento Regional County Sanitation District (Regional San) interceptor system (made up of larger pipes), where it is conveyed to the Sacramento Regional Wastewater Treatment Plant near Elk Grove. SASD was formed in 1978 and is governed by a 10-member Board of Directors representing the various city and county jurisdictions in our service area, including the unincorporated areas of Sacramento County; the cities of Citrus Heights, Rancho Cordova, and Elk Grove; and portions of the cities of Folsom and Sacramento. What areas does SASD serve, and how many customers does the service area include? 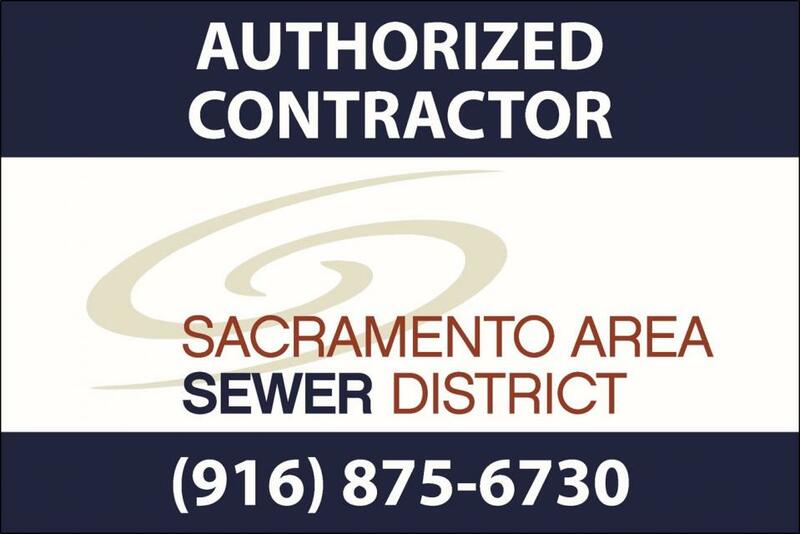 SASD provides sewer collection service to 1.2 million people in the Sacramento region, including the unincorporated areas of Sacramento County; the cities of Citrus Heights, Rancho Cordova, and Elk Grove; and portions of the cities of Folsom and Sacramento. We serve residential, commercial and industrial customers. View a map of our service area and check to see if you are our customer. What should I do if sewage backs up into my home or I have another sewer emergency? Call us at (916) 875-6730! As an SASD customer, you pay a monthly utility fee for sewer service. Let us try to help you when you have a sewer problem. We will check our portion of the sewer line for problems and help you figure out the next step. Who is responsible for fixing sewer problems? Learn more about which part of the sewer system is a customer’s responsibility and which part is SASD’s responsibility at our Customer vs. SASD Responsibility webpage. What is the difference between SASD and Regional San? SASD serves as one contributing agency to the Sacramento Regional County Sanitation District, also known as Regional San. While SASD is responsible for the collection of wastewater from the unincorporated areas of Sacramento County; the cities of Citrus Heights, Rancho Cordova, and Elk Grove; and portions of the cities of Folsom and Sacramento, Regional San is responsible for the conveyance and treatment of that wastewater. Regional San also treats wastewater from the other local sewer utilities in the Sacramento region. Regional San takes care of the ownership and maintenance of the larger interceptor pipes and the activities taking place at the Sacramento Regional Wastewater Treatment Plant, located just outside of Elk Grove, CA. 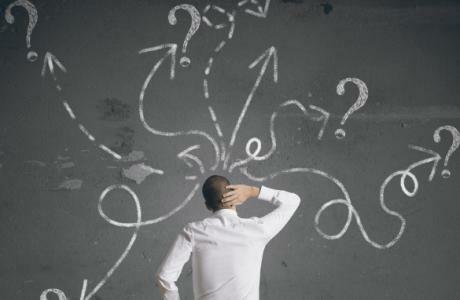 How can I get more information about the wastewater treatment plant? Please visit Regional San’s website to get more information about the treatment and disposal of your wastewater at the Sacramento Regional Wastewater Treatment Plant, located just outside of Elk Grove, CA. You can also sign up for an in-person tour of the treatment plant, or if you don’t have time, simply check out Regional San’s Virtual Tour online without leaving home! Who sits on SASD’s Board of Directors, and when are the meetings? SASD’s Board of Directors is representative of our service area, including the unincorporated areas of Sacramento County; the Cities of Citrus Heights, Elk Grove, Rancho Cordova; and parts of the Cities of Folsom and Sacramento. For specific information on board representatives and meeting times, visit our Board of Directors webpage. Can I really call SASD 24 hours a day, 7 days a week, 365 days a year if I have a sewer problem? Yes! Call us at (916) 875-6730. We’re here to help! As an SASD customer, you pay a monthly utility fee for sewer service. Let us try to help you when you have a sewer problem. We will check our portion of the sewer line for problems and help you figure out the next step. Where do I find SASD’s charge on my utilities bill? Your utilities bill features charges for multiple utilities. View a sample bill to see where SADS’s charge appears. What are monthly sewer rates? Monthly sewer rates are what it costs an existing customer to receive sewer service from SASD. 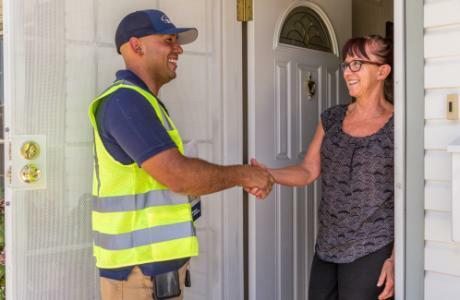 In addition to our rate charge, most customers will also receive a charge from the Sacramento Regional County Sanitation District (Regional San) for the regional conveyance and treatment system. 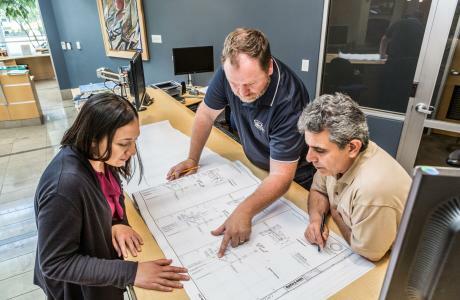 SASD is responsible for service from your home or business – via its collection pipes – to Regional San’s interceptor pipes that connect to the Sacramento Regional Wastewater Treatment Plant. For specific SASD rate information, visit our Monthly Sewer Rates webpage. What are sewer impact fees? Sewer impact fees are the charges that cover connecting a new customer to the sewer system. For specific SASD impact fee information, please visit our Impact Fees webpage. For additional impact fee information, please call (916) 876-6100. 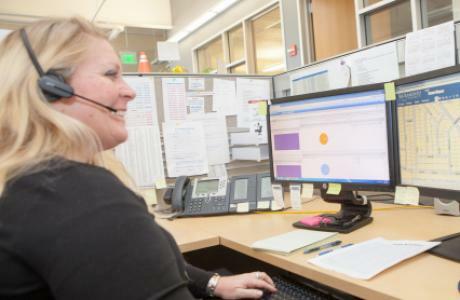 All billing is handled by Consolidated Utilities Billing and Service, a third-party billing administrator that manages billing for SASD and other local utilities. SASD’s customers receive a consolidated bill that includes charges for multiple utilities (e.g., sewer service, stormwater drainage, water supply, garbage/recycling, etc.). Yes, you can sign up for paperless billing via the Consolidated Utilities Billing and Service website. You will need your current bill with your account number and parcel number to establish a paperless billing account. How do I transfer my account or change account responsibility? If you are a new property owner, CUBS will automatically transfer the account into the new owner’s name when the change of ownership is recorded. There can be a lag in processing because CUBS receives the changes from the Assessor’s finalized legal property records. If you are a renter and want to assume responsibility for the utility payments, you will need to have the owner’s authorization to have utility bills sent in care of you. While utility bills remain the responsibility of the property owner, billing can be sent in care of another party if a property owner specifically authorizes that change. To make this change, the property owner needs to contact CUBS directly to determine the steps necessary to complete this action. Please contact CUBS for more detailed information (see complete contact information above). What is the Stop the Clog Program? Educates residential and commercial customers about grease source control measures they can implement. Continues to utilize data to improve maintenance and operation efforts. Evaluates the data collected and modifies the program, as needed. Prioritizes areas more likely to have an overflow for both outreach and education, and maintenance and operation efforts. Whether you’re a a resident of the Sacramento region or a food service business that generates FOG, we encourage you to do your part to help prevent sewer blockages. Doing so will benefit your home, your business, your pocketbook, and your community. Learn more at stoptheclog.com. Why can’t disposable wipes be flushed down the toilet? 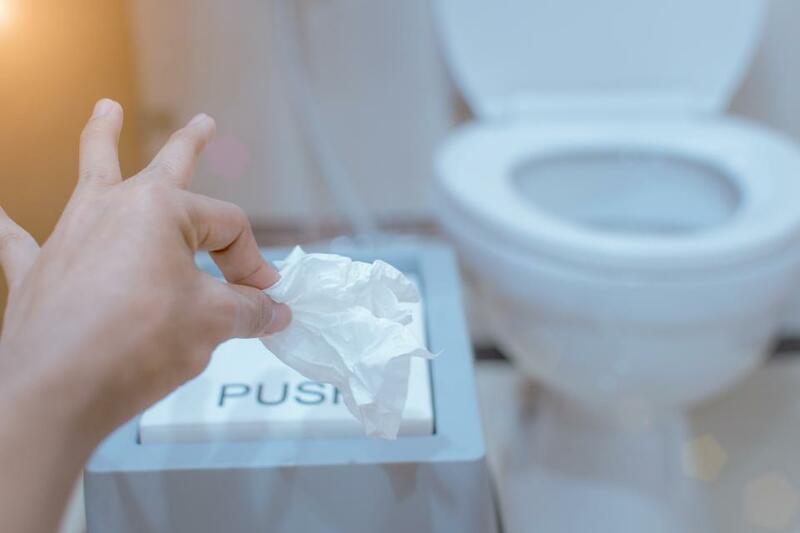 Disposable disinfectant wipes, baby wipes, and even so‑called “flushable” wipes cause serious problems for the sewer system, as they do not break down easily (or at all) once they are flushed. Paper products other than toilet paper (e.g., paper towels) also do not break down once in the sewer line. No matter what the label says, don’t flush them, trash them instead. Visit the No Wipes in the Pipes page to learn more about how you can help wipe out this costly and messy sewer problem. What other sewer maintenance tips can I follow to keep my sewer flowing? Visit our Sewer Maintenance Tips page to learn more. What is SASD doing to protect local creeks, and how can I help? Visit Help Protect Our Creeks to learn about SASD’s partnership with the Sacramento Area Creeks Council to protect our local creeks and waterways. You can help by volunteering during Creek Week or other related activities—visit saccreeks.org to learn more. Please visit our Permits Information webpage. What are my responsibilities regarding utility easements on my property? You, as a property owner, must guarantee access to any utility easements located on your property. If you are unsure about the location of easements or sewer utilities at your property, please call us at (916) 876-6100. It is vitally important that an easement holder provide SASD timely and unobstructed access to its sewer utility assets whenever necessary so that we can keep the sewer system flowing properly. Please refer to SASD’s Easement Access Brochure for detailed information about how we access easements on private property. How will sewer line repairs impact my home or neighborhood? Our goal is to get our work done as quickly as possible with minimum impact to our customers. To lessen the impact of repairs and to assist you in planning for possible inconveniences, we provide advance notice of our work whenever possible. If the sewer lines are located in the backyard, we may need to coordinate with you to gain access as quickly as possible. Our Easement Access Brochure summarizes what you can expect when we need to access easements to perform our work. At times, work on private property requires that we do all excavating by hand, a slower process than work done with equipment. Therefore, repairs could take days instead of hours. It may be necessary to turn the water supply off for a short time at some point during our work and we may ask you not to drain any wastewater into the system during repairs. Street repairs can involve temporary inconveniences including short-term road closures or interruptions in service. How can I identify a sewer worker? All of our workers carry photo identification—feel free to ask for it. Field operations and maintenance staff wear our standard blue uniforms with name patches and SASD’s logo. 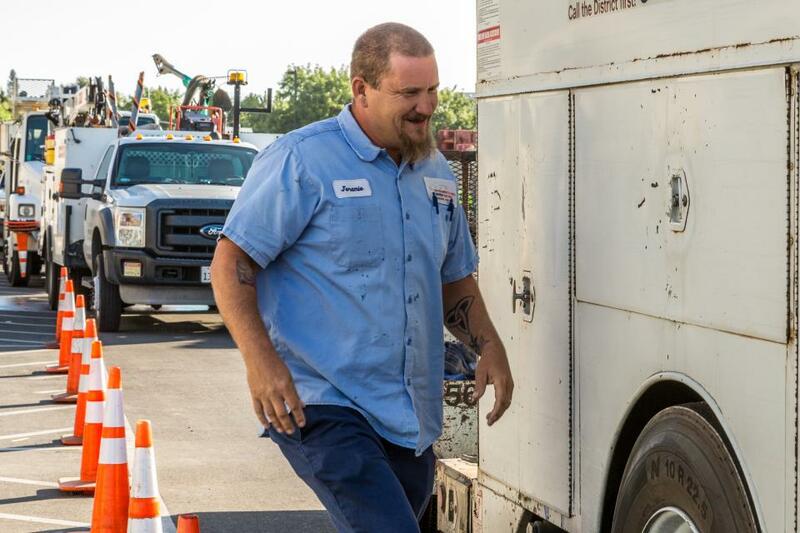 Field technicians (those who are first to respond to customer calls), as well as supervisors and other staff, typically wear clothing and/or hats with SASD’s logo. SASD workers also wear yellow safety vests and helmets with our logo. Occasionally, SASD will use contractors in the field. Any contractors working for SASD must display signs on their vehicles identifying them as authorized contractors. To confirm any SASD worker’s identity, please call 875-6730. Can I discharge RV waste into the sewer system? Residential customers can use their private sewer cleanouts for occasional, non-permanent discharge. Otherwise, a dump station should be utilized. As a residential customer, can I discharge pool water into the sewer system? SASD’s Sewer Ordinance does allow periodic discharge of pool water to the sewer system. When the discharge is performed through a non-permanent connection and the other specific conditions are met, periodic discharges can be done without obtaining advance permission or a discharge permit. Please see Pool Water Disposal Guidelines and SASD’s Sewer Ordinance Sections 2.21, 2.22, and 2.4 for the specific requirements governing this type of non-permanent pool water discharge. Can I discharge pool water into the storm drain system? SASD is not responsible for the regulation of the storm drain system; however, discharges to the storm drain system are highly regulated and the discharge of pool-related wastewater to the storm drain system is prohibited under specific conditions (view Pool Water Disposal Guidelines). Local regulatory agencies enforce stormwater regulations and may assess fines and penalties related to prohibited discharges or other stormwater violations. In the unincorporated areas of the County of Sacramento, the Department of Water Resources is the local enforcement agency for the stormwater regulations. All local stormwater jurisdictions participate in the Sacramento Stormwater Quality Partnership, which offers many educational resources to businesses and citizens to prevent stormwater pollution. How can I seek employment with SASD? SASD hires all staff through Sacramento County. For a list of currently available positions and associated salaries, please visit Sacramento County’s Personnel Services website. 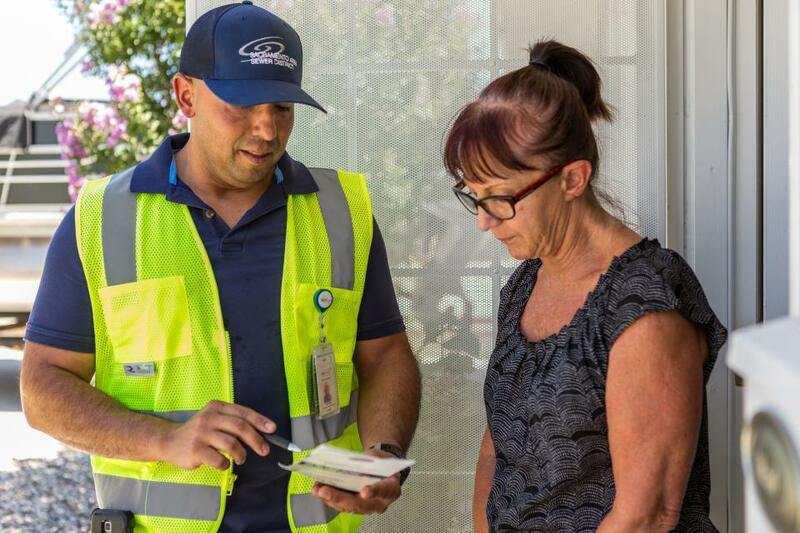 If you’re experiencing a sewer overflow or other sewer problem, or if you are reporting a safety hazard, please call us immediately at (916) 875-6730. We are available 24 hours a day, 7 days a week. Please do not use this form to report urgent issues that require an immediate response. For general questions and non-emergency-related information, please use the form below and someone will respond as soon as possible. If you prefer to call us about a non-urgent issue, check our contact list for the relevant phone number. 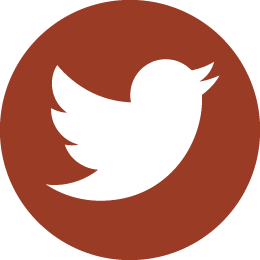 Please visit our Monthly Sewer Rates webpage for details about SASD’s rates. For answers to common billing-related questions, please read our FAQs. Please do not click “Send Message” below, as it is not functional on this page. If you would like to send a message about a non-urgent matter, simply select another issue from the list above. Thank you. WARNING: A sewer overflow or backup requires immediate emergency response. We cannot accept emergency reports online. Please call us immediately to report this issue at (916) 875-6730 anytime, day or night. We will respond to your call within 2 hours.